I found this picture on GettyImages, under The Calcium Kid, I just thought I would post it because I am loving his hair. Also the experssion in his eyes . . he looks so sad. PEFIC, apologies if this is not following the studio photos rule, please delete if so. Edit: Ok, I found out where its from! I guess an LJ user named TryTryAgain got rid of the watermark, the original was posted on Leggyslove's livejournal. I would have credited earlier, but I completely spaced on where I found it. I don't know if this picture is "legal" but I figured I better post while I can. Great, great, great picture franno! He looks older, weathered and wizened. Gosh he's gonna become a renowned character actor one of these days with that face. I know it's a character picture, not necessarily Jimmy I think, but I can't help gushing about how cute his hair is. The first picture I ever saw of him, he had his hair all curly and dark, massed on his head like that. Wow! I know the picture is of Orlando, but it also looks like someone totally different. They've done something to his eyes, the outsides of his eyes are different, somehow closer. Make sense? But I like it, he does look older, and I think minktress is right, he will have one of those faces that people will recognise in an instant. I love this picture because of his hair as well; I think it’s just such a sweet picture of him. There’s just something about the look coming from his eyes as well. Oh! Lord! The look in his eyes.like he is about to cry.. Oh, I so want to hug him and make it all better. Man.I find myself just staring at this picture.I.can't.look.away.don't want to. I had seen the tagged version of that and I didn't expect the untagged version to look like that. He looks SO much like his mum there for some reason...it was really striking to me that way. Thank you for posting the untagged version, Franno. Where did you get it? Gosh he's gonna become a renowned character actor one of these days with that face. I know it's a character picture, not necessarily Jimmy I think, but I can't help gushing about how cute his hair is. Never saw this one before--what a heartbreaking look in those eyes! Angst.fan fic. Yoo hoo, HR! Edit: LJ user TryTryAgain unmarked it, and did a damn good job if I may say so myself! What a great picture. I can't belive I just saw this now. He looks so much older. That's neat! In every CK pic I've seen, even when he's posing with his gloves or other paraphernalia, I've just thought he looked really young and cute, as though he thought he was tough. That's the first picture (a black & white head shot, too!) where I've thought, "Wow! He really does look like a boxer." But I've been watching Rocky on AMC the last few weeks.and maybe he reminds me of him. Thanks, Franno. I saw that picture on someone LJ last week and I think someone untagged it with photoshop that is why his eyes look weird but maybe I am wrong and it is just a untagged version. HR you are right about him looking like his mom in that picture he reminds me a lot of her lately. ( did that make sense? Damn I am over tired!) He looks very sad or tired in the picture it just makes me want to take him home and cuddle him ! Great pic. Thanks for sharing. He looks tired to me: there are little shadows and creases under the eyes. Love the little creases - this man is going to age so well. The incredible work-a-holic that he is; i wouldn't be suprised if he was tired. But its what he loves doing and I respect that. I agree that he looks like his mom there. I think it's the eyes. He also look so very young with his hair so short. It is incredible what just a simple hair cut can do as HR pointed out so well in Soul Purpose. This picture also makes me cross my fingers that CK will come out in the States on DVD. I want to see some Jimmy. Awww, the look in his eyes is amazing I really can't wait to see the Calcium Kid. He looks so sad for some reason! Maybe he's just tired. But adorable, nonetheless. He does look a lot like his mum there, I agree. That picture is absolutely amazing. Everything is perfect.I adore his hair like that. Black and white works so well for Orlando. Thanks so much for posting this--I'd never seen it before! I thought I had seen this picture before. Here is an untagged, non-photoshopped version. More Jimmy teasing,*sigh* I don't know how much longer I can wait to see this movie. Great picture though, he does look semi-tired but it's a very natural pose unlike other pictures where he's actually posing. Sorry if that didn't make any sense, . :santa: I want one! Don't even wrap it, just put it in the mail! Tina posted it quite some time ago, in the Pictures forum - go here. 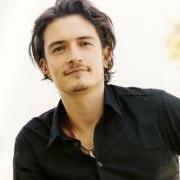 I think that is a great picture of Orlando portraying Jimmy. I so want to see the Calcium Kid.